Finger Weights For Sports, Guitarists, Musicians, Health & Wellness! Increase your manual dexterity and mobility performance. From musicians to office workers, everyone who uses their fingers on a daily basis to complete repetitive tasks can benefit from finger weights. Finger weights target the extensor and flexor muscles, the fine motor muscles in the hands that open and close the fingers, which allows wearers to build strength and dexterity. fingerweightsTM will improve proprioception, kinesthetic feedback, spatial awareness and fine motor skills. 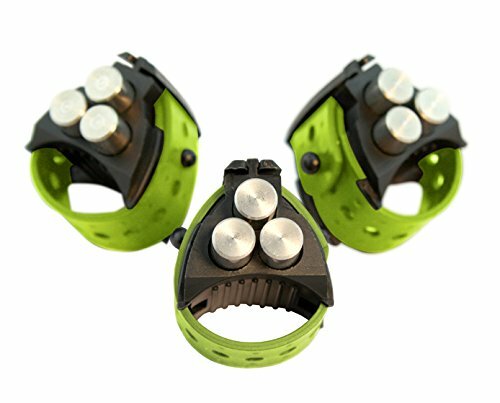 If you have any questions about this product by Finger Weights, contact us by completing and submitting the form below. If you are looking for a specif part number, please include it with your message.